Not a big fan of letting this year’s Christmas tree rot in the backyard? We don’t blame you. Do you cringe every time you hear the burnt-out strand of lights hit the bottom of the garbage can? So do we. To help you avoid the rot and waste that comes after the holiday season, here are some specifics for how to recycle your pine tree and lights this year. 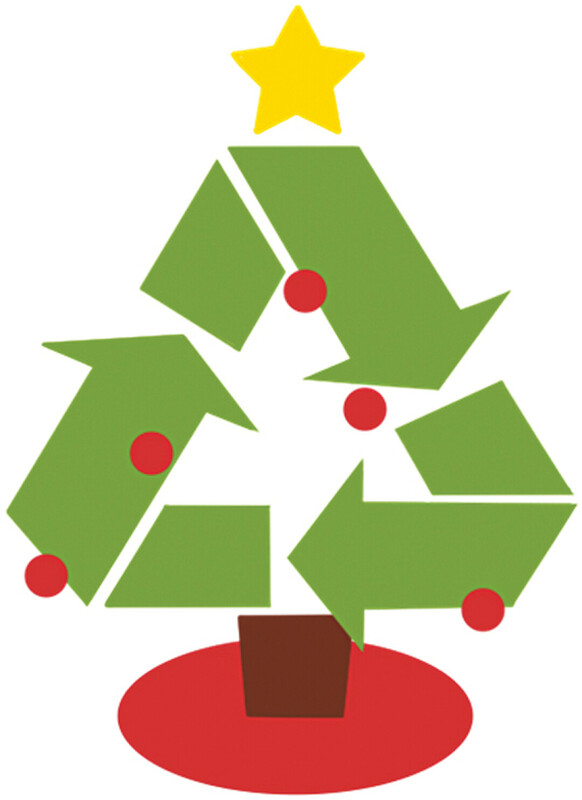 • Drop your tree off at the Jeffers Road Green Waste Facility (5710 Jeffers Road, Eau Claire) during daylight hours between Dec. 26 and Jan. 31. The free service is available to city of Eau Claire residents only. Be sure to remove plastic bags, ornaments, tinsel, etc. • Drop off your burned-out lights (excluding rope and LED lights) at the Eau Claire County Courthouse’s main lobby (across from the treasurer’s office) between now and mid-January for recycling at no cost to residents. • Leave the tree curbside and order a pickup courtesy of Earthbound Environmental Solutions starting Jan. 3 and ending Jan. 31. Earthbound subscribers will be charged $7 per tree ($8.50 after Jan. 22), which will be added to their quarterly bill. Non-subscribers will be charged $10 per tree ($10.50 after Jan. 22), with payment due at time of pickup. If you live in rural Dunn County, you can dispose of your Christmas tree at the Boyceville, Colfax, or Elk Mound area collection stations. County residents may also drop trees off at any highway shop through mid-January. City of Menomonie residents should contact the city for curbside collection dates or drop their trees off at the city’s solid waste facility as well as Wakanda and Elmwood parks. In Chippewa County, Christmas tree disposal varies by municipality. In the city of Chippewa Falls, trees can be dropped off at the city yard waste site, 5 Bjork-Riverside Drive. Residents elsewhere in the county are encouraged to contact their municipal waste hauler. And wherever you live, remember to remove all tinsel, lights, and decorations before tossing your tree. Also, wrapping, tissue paper, and metals or plastics used to make ornaments are not recyclable due to the low quality of the materials, so please remember to trash these items.